“This is an Accepted Manuscript of an article published by Taylor & Francis in JOURNAL OF SLAVIC MILITARY STUDIES Volume 30 Issue 2 on 27th April 2017, available online at https://www.tandfonline.com/10.1080/13518046.2017.1308120 Please click on this link to record your readership of this article." In common with much of the historiography of the Russo-German War of 1941–1945, there has been extensive study of the role of railways in the war, with either side concentrating on different aspects of the subject. But to date there has been little attempt to make a comparative study of the railways on both sides and to gauge the effect of differences in capacity on military operations and their outcomes. This lack has allowed one or both sides to obscure key failures and to deflect the influence on military operations away from railways. Yet the ubiquitous nature of railways for travel and transport in Russia, due to the large size of the country and the inability of motor vehicles to support operations beyond 300–400 km, meant that every military operation of the war was dependant on railways, and the way in which they were used was a key element in their success or failure. The current study aims to compare operating practices between Soviet and German military railways, to give estimates of the railway capacity available to both sides, and then to use this information to gauge the effect of this capacity on military operations. Studies on the use of railways for military operations started almost immediately after the end of the war by organizations such as the United States Foreign Military Studies program, which conducted interviews with former German military transportation officers such as Bork1 and Teske and supply officers such as Toppe,2 but these concentrated both on the German viewpoint and that of military officers, not railwaymen. On the transport side, the railwaymen’s story was told by railway officials such as Kreidler,3 Pottsgeisser,4 and Hahn and post-war historians such as Gottwaldt,6 and Mierzejewski,7 which by and large told a story of a struggle to overcome technical difficulties posed by a ramshackle, old-fashioned, and low-capacity Soviet railway network. This lead has been followed by modern historians such as van Creveld,8 Schuler,9 Addington,10 and the Militärgeschichtliches Forschungsamt11 in the very few studies that have been conducted into German logistics during the Russian war. Yet this picture sits at variance both with the extensive Soviet literature on logistics by authors such as Kumenev,12 Kovalev13 and Antipenko,14 and Western studies of the Soviet transportation network by economists such as Holland Hunter15 and Mark Harrison16 and students of the Soviet railways such as the former British Army officers Westwood17 and Garbutt.18. Both sets of sources tell the story of a highly successful railway system that before the war carried almost as much freight traffic as the United States and accomplished this using a rolling stock fleet and length of track only a little larger than that of the pre-war Reichsbahn. The aim of this article is to reconcile these opposing views, explaining how railways played a major role in the Russo-German War and how the Soviets gained an advantage over the Germans in transport capacity. The military has used railways in three distinct ways — firstly to achieve rapid mobilization of their armies by moving them and their supplies from depots in the interior to the border; secondly to move units at the operational and strategic levels; and lastly to provide a direct link between the field armies and the home country to provide supplies, replacements, and leave trains. Railways were capable of moving vast amounts of soldiers and materiel over long distances and speedily at a low operating cost. However, they were a unique form of transportation because the track imposed tight constraints on its operation, as the vehicles were forced to remain on it at all times. Unlike all other forms of transport, railways had to build their infrastructure in advance to meet their operational and capacity needs. While this may seem obvious, this simple fact seems to have escaped the notice of many military commanders down through history, and the successful operation of military railway networks was usually accomplished when railwaymen were left to run the railways free from military interference. Military abuses included abandoning schedules, forwarding supplies before they were needed, failing to unload trains upon arrival, using rolling stock and sidings as mobile warehouses and offices (so reducing capacity and blocking tracks), and commandeering trains. This was demonstrated during the first railway war, the American Civil War, when after a year of war service under military control, the Union railways were in crisis and were taken in hand by a civil engineer called Hermann Haupt. He restored discipline to their operation by the imposition of some basic operating rules. There were two types of gauge — ‘track gauge’, which was the width between the tracks, and the ‘loading gauge’, which was the volume occupied by the rolling stock and determined the size of tunnels, station overhangs, and how close other equipment could be placed to the track. At the start of the railway age, a wide variety of gauges were used — for instance, in Russia the first track laid between St. Petersburg and Tsarskoye Selo in 1834 by Austrian engineers used a 6-foot gauge; the second between St. Petersburg and Moscow in 1843 by US Major J. Whistler, who chose a 5-foot gauge, and the third, which connected Warsaw with Vienna in 1845, used Standard gauge of 4 feet 8¾ inches so that the trains could run on the Austrian network. Contrary to popular myth, the Russian 5-foot gauge was chosen simply because it was fashionable at that particular time and was the same gauge used across most of the Southern States in America. As a flat country with few tunnels, Russia was unique in having a generous loading gauge, but this meant that even when re-gauged, Soviet wagons would not fit onto German railways, and loads had to be trans-shipped at the Polish border. The standardization across Europe on 4’8 3/4” gauge only occurred once networks started to link up, and during this process there have been a number of instances when a gauge was altered to match that of a neighbor. In 1886, the 18,500-km 5’ network of the Southern States was altered to 4’9” in just 36 hours with much of the rolling stock converted at the same time. Similarly, in 1915 following the capture of Poland, German railway engineers altered 6,000 km of 5’ gauge over to the European standard in a matter of months. Steam engines required facilities called locomotive sheds or depots (Bahnbetriebswerk or Bw or локомотивное депо) to maintain them in regular operation. These covered facilities provided supplies of coal, water, sand, grease, maintenance and washing facilities, and a turntable or ‘Wye’ track to turn locomotives round, with only a quarter of the locomotives left out on open track overnight. Locomotives would operate between their home depot and the next depot 80 km down the line, refilling with water before returning home. The important fact to note is that while the ‘train’ moved continuously down the line, steam locomotives stayed in their particular section of track, and the capacity of the line was determined by the number of locomotives at each depot. To raise the overall capacity of a line, a new locomotive needed to be deployed at each depot along the line, and the facilities at the depot were an important determiner of capacity. A train comprised a number of passenger carriages, goods wagons or specialist wagons, and a brake van, and during a day’s travel it would have a number of different engines. Soviet trains were 120 axles long, which gave a gross weight of 1,200 tonnes for the rolling stock and cargo or a net weight of 650 tonnes of cargo. Typically this was 60 two-axle goods wagons, each carrying 10–15 tonnes of cargo, 40 men or eight horses. German military trains were smaller at 90 axles long with a gross weight of 850 tonnes and a net cargo load of 450 tonnes in a series of standardized military trains (I Type: 26 flatcars, 28 goods vans, one brake van carrying 350 men, 20 vehicles, and 70 horses) so that an Infanterie Division could be carried by 70 trains or a Panzer Division in 90. The capacity of a particular line was the number of trains that could run down its length both up and down, usually given as 12 pairs of trains a day for single lines or 24 pairs of trains for double track lines for restored military railways. However, double-track lines run by the Reichsbahn in Germany might achieve 72 or 144 train pairs a day; the difference was due to the number of sidings that allowed trains to pass one another and the complexity of the signaling equipment. Each length of track was divided up into ‘blocks’ of varying lengths, which had a signal post at either end and a siding to allow trains to pass each other. The rule was that only one train was allowed into each block at a time, and at a rate of 12 pairs a day, this represented a train passing a block once every hour. For higher-capacity lines, the sidings and blocks were more numerous, but a key element of capacity was the running speed of trains. An express train traveling at high speed down a length of track would need to pass slower passenger trains and the even slower freight trains, each of which would need to move into a siding before the express entered the block. While some effort was made to separate traffic during the course of the day, so that most freight ran at night and passenger services ran during the day, this was not always possible, and a key determiner of capacity was the difference in speeds between the services. The Reichsbahn ran trains at a wide variety of speeds, with its freight trains traveling at 50 km/hour, but this required complex signaling and track architecture, and it also needed strong track to withstand the buffeting from trains, as wear and tear increased exponentially, the faster the speed of the trains. The NKPS avoided these issues because it ran almost all its trains at a uniform speed, typically 25 km/hour. In 1913 the Tsarist railway network spanned 71,000 km (excluding Finland), but the loss of territory during the war reduced the Soviet railways to just 58,000 km in 1921, with worn-out tracks and rolling stock or damage from the war, revolution, and civil war. Restoration of the network proceeded from 1923 under the Narodnyi Kommissariat Putei Soobshchenia (NKPS; People’s Commissariat of Means of Communication), which was responsible for the railways, roads, and waterways. Nonetheless, by 1926, the railways had recovered sufficiently to carry traffic to pre-war levels, and by 1928 the network had expanded to 76,900 km; the rolling stock fleet and level of investment were both back to the 1913 level (which was 18 percent to 20 percent of the total economic investment), but the accident rate had doubled.22 All this had been accomplished by a management with a high proportion of technical specialists from the old Tsarist regime, such as the deputy Narkom I. N. Borisov, former Deputy Minister of Transport under Tsar Nicholas. By 1927, they were advocating a complete reconstruction and modernization of the technically backward railways in line with the latest European and American thinking. It is important to understand how the NKPS produced these results, as they used the same methods during the war. Hunter27 postulates that the increase in traffic between 1928 and 1940 was 140 percent, of which only 10 percent can be assigned to the increase in network size, 15 percent from a larger, more powerful engine fleet and 42 percent from an increased number of freight cars, while the remaining 73 percent is assigned to increased worker productivity through the Stakonovite movement with higher utilization of rolling stock, reduced unloading times, shorter periods in sorting yards, and customers returning rolling stock promptly. The network increase was small, with the main addition being the 17,000 km added after 1939 from territorial acquisitions, while the main effort was on improving existing lines. These improvements were spread across a small number of lines principally linking the USSR’s four main regions of economic activity, the Donets Basin, Moscow, Leningrad, and the Urals-Kuznetsh Kombinat with Über-magistrale(super trunk lines), which carried one-third of the traffic on just 10 percent of the network. Soviet magistrales had stronger track and used the new FD and IS locomotives, hauling heavy-unit trains with a gross weight of 3,000 tonnes with a single type of cargo, directly from the source to the destination, such as the coal trains running from Donets Basin to Moscow/Leningrad. Despite the uneven development of the network, the USSR had some of the most intensively used track in the world: In 1930 it had 1,738,000 ton-km per km compared to 1,608,000 for the United States. This was achieved by running the railway at a low uniform speed (29 km/hour in 1934), which eliminated delays from trains overtaking one another, reduced track wear, and allowed large numbers of trains to be run on the same stretch of track with primitive signaling. The low axle loading of engines (Э class 17 tonnes 28) and wagons (1934 — 15-tonne load for a two-axle wagon) allowed them to travel around most of the network, and their low load carrying was mitigated by using longer trains. All of these characteristics were ideal for operating railways in areas of military operations. Given that the Soviet railways were not of a standard European type by 1941, a knowledge of their characteristics would be essential for any force operating over them. Fortunately, railways were chosen as an exemplar of the achievements of socialism, so knowledge about them was widespread. The July 1938 issue of СССР на стройке [USSR in Construction]29 was devoted to NKPS and was published in English, German, French, and Spanish. In 1932 the Soviet railway economist K. N. Tverskoi wrote a detailed account (The Unified Transport System of the USSR30), again published in both Great Britain and the United States. Since railways were an international business, there were regular exchanges of information in journals such as the prestigious Archiv für Eisenbahnwesens, which featured regular articles on the USSR and included authors such as Dr. Otto Wehde-Textor, who lived in Minsk and regularly drew on Soviet publications. It is noticeable that the flow of information reduced with the growth of repression; nonetheless, Wehde-Textor was able to write about the 1937/1938 traffic results31 from Soviet sources, and in 1940 he accurately described the condition of the Polish occupied railways32 and those of the Baltic States. There were other sources of information available: In 1922 the NKPS placed orders for 700 E Class engines with 22 German manufacturers and 500 with a Swedish one, so the German industry was well aware of the characteristics of Soviet engines, since the E Class remained the USSR’s main freight engine well into the 1950s. German geographers such as Col. Prof. Ritter Oskar von Niedermayer traveled extensively throughout the southern regions of the USSR and wrote extensively between the wars33, 34 on a wide range of geopolitical matters, including railways. However the evidence across Europe is that the experts underestimated the NKPS, as illustrated by Paul Wohl writing in 1946, ‘The poor condition of the Soviet railroads, Berlin then thought, would make it impossible for the Red Army to manoeuvre and to receive reinforcements and supplies’,35 and this would contribute to the collapse of the Soviet state. The Polish author A. Piotrowski from the Eastern European Institute in October 193936 fully expected the over-stretched railways to collapse on the outbreak of war as they had no reserves. Poland is central to our understanding of the railway situation during the Russo-German War, as up to June 1941, Prussia/Germany had always fought her wars against enemies who were contiguous with her own frontiers, such as France and Austria. When Poland was broken up in late 1939, the Reich remained separated from the original 1921 border of the Soviet Union by a patchwork of different capacity railways over a distance of 750 km. East Prussia, as part of the Reich, was serviced by the Reichsbahn with a largely agricultural traffic, while the area of Congress Poland became the Government General with its own small railway company, Generaldirektion der Ostbahn (Gedob) to provide Hans Frank’s state with an income. To the east was an area between the Curzon Line and the 1921 border, known by the Polish word Kresy [borderland], a poor agricultural region with undeveloped railways, which the Poles had seen as a defensive bulwark against Soviet aggression by tearing up the Tsarist double-tracked lines running to Moscow and St. Petersburg for a distance of 70 km behind the border. Under the terms of the Molotov-Ribbentrop Pact, this area and the Baltic States were placed in the sphere of influence of the Soviet Union, together with the old Austro-Hungarian province of Galicia including the city of Lemberg (L’vov), which retained its excellent railways. The Red Army occupied the Kresy on 17 September 1939 in a poorly executed operation and immediately started to move forward the military installations from the Military Districts into this zone; at the same time as the NKVD started to deport the local population from the new border into the interior of the USSR. One of the tasks of the NKPS was to alter the 4,900 km of single and 1,800 km of double track from Polish Standard to Soviet Union gauge; however, the capture of 2,000 working locomotives and 120,000 wagons allowed the NKPS to run a standard gauge service using the existing border trans-shipment points. This task was complicated by further annexations in the Baltics, Finland, and Bessarabia, which resulted in the size of the NKPS network rising from 84,950 in 1938 to 106,102 km by the end of 1940. Traffic densities were low, 2 million ton-km/km, the track and rolling stock old and worn — except for the network around L’vov (Lemberg), which carried 5 million ton-km/km.42 Coupled with the demands of the German-Soviet Commercial Agreements that saw deliveries of 1,558,000 tonnes of freight during 1940,43 this combination of factors delayed conversion of the Polish network. In July 1940 the Chief of Military Communications of the Red Army (VOSO) drew up a schedule for military trains for 1941 44 of 310 trains a day (5–6 Rifle Divisions), while he believed that Germany, Hungary, and Romania had a capacity of 650 trains (9–11 Infantry Divisions). This schedule used Leningrad (ЛВО), Baltic (ПРИБОВО), Western Special (ЗОВО), Kovel (КОВО), and Odessa (ОДВО) railways, and the Minsk to Brest line was rated for 72 train pairs a day (36 operational, six mobilization, six supply, and 24 economic). But in February 1941, the Central Committee was still planning to start rail construction throughout the region to upgrade track and junctions involving 128,000 workers and spending 230 million rubles,45 and it is clear that much of the capacity assumed in 1940 still did not exist. The main Minsk line was only 30 trains a day, being raised to 48 by 1942. Similarly the Kowel railway was performing poorly in the summer of 1941 because three sections of track remained in Standard gauge.46 It is clear that a mirror image of the Otto Program had not happened on the Soviet side of the border and that capacity was around half that on the German side with the ‘Polish Gap’ of low railway capacity stretching from Brest to Minsk. From August 1939 supply of the armies onwards from the railheads was assigned to OKH department of the Generalquartiermeister under Major General Eduard Wagner, while railway transport for all the armed services was assigned to the OKW department of the Chef des Transportwesens under Major General Rudolf Gercke. This was a relatively small organization with a staff in Germany, Generals des Transportwesens (Commander of Transport Services), with the field armies and small posts at railways stations, junctions, and railheads, while the Eisenbahnpioniere (Railway Engineers) were a branch of the Pioneers. This structure provided little connection between the field armies and the railway network during the period of active campaigning, so during the French campaign the railways had the role of delivering the army to its mobilization areas and thereafter Wagner supplied the army from forward depots on the border using motor transport. In order to support the Panzer Divisions in particular, Wagner had the Grosstransportraum of long-distance, heavy lorries to bridge the gap before the railways were restored to working order by the Eisenbahnpioniere. This restoration took longer than the active campaign, and there were conflicts and long delays in handing over the railways from Eisenbahnpioniere to the Reichsbahn during the Polish and French campaigns. In essence, despite the advent of motor transport, German military thought still assigned a low priority to logistics and concentrated on the operational factors needed in order to win the decisive battle quickly and so obviate the need for an extensive supply service. Russian interest in logistics started after the disastrous Crimean War 1854, when it proved difficult to project military force outside of the central Imperial heartland. The experience of the Russo-Turkish War of 1877 at Kars and Plevna and of the long series of colonial campaigns in the Caucasus and Central Asia50 showed that the Russian military had learned how to conduct operations well beyond their borders. In 1878, the Russian army had to march through the undeveloped southwestern Ukraine and through Romania, both of which only had low-grade, single-track lines of different gauges, and the railway troops had to upgrade these lines and add a second Union gauge track to the Romanian lines to allow through traffic. To shorten the supply lines, they built a 285-km new line from Bucharest in 100 days using 15,000 laborers, and several other smaller lines, a feat that exceeded the Prussian failed attempt build a railway line to circumvent the fortress of Metz in 1871.51 Likewise the Russo-Japanese War of 1905 may have ended in defeat, but the fact remains that a substantial military effort was achieved at a great distance from the Russian heartland. The Soviet concept of the tyl (the Rear) was of a nation in arms, where every sector of society, agriculture, and industry was harnessed for the supply of the front. However, the Purges and the experience of Khalkhin Gol, the occupation of Poland, and the Winter War had demonstrated the major weakness in logistics support of the Red Army and left it split among four commands. With the supply and transport services overwhelmed by the German attack in June 1941, on 28 July the Chief Intendant A. V. Khrulev went to put a proposal to Comrade Stalin. Since November 1939 he had been in discussion with a Red Professor, Head of Red Army Supply in the 1920s and former Chief Quartermaster to the Imperial Army Major General K.E. Goretskii,52 who drew up a scheme for a centralized logistics structure for the Red Army using as evidence the 1914 Imperial Army’s Regulations for Supply. Despite the fact that the proposal came from a former Technical Specialist and harked back to Tsarist days, Stalin approved it against the advice of the Chief of the General Staff, General G. K. Zhukov, who would be shortly removed from his post. No doubt Khrulev’s background as a Bolshevik factory organizer in St. Petersburg, where he met Voroshilov, his Civil War service as a political commissar in the 1st Cavalry Army, and his long service in the Intendant’s service counted despite being purged in 1937. So on 1 August 1941 GKO Secret Order No.0257 formed the Main Directorate of the Rear of the Red Army and ‘Headquarters of the Rear’ at Fronts and Armies, which provided for a small central staff to coordinate the activities of seven existing, independent directorates concerned with supply, transport, and medical care. The success of the Rear came from its monopoly of transport through центральное управление военных сообщений ВОСО КА (Central Directorate of Military Communications Red Army VOSO) so that even organizations outside of its control, such as the Main Artillery Directorate GAU, had to operate through it. The effectiveness of this approach was enhanced on 25 March 1942 when Khrulev replaced Kaganovich as Narkom of the NKPS, and at that point in German terms, Khrulev combined the roles of Gercke, Wagner, Dorpmüller, and aspects of Speer’s economic brief. The Red Army now had a fully integrated modern logistical organization, while the German one was fractured into individual services with little coordination between them. Just as importantly, the Soviet concept of supply was radically different from the German/European model of ‘demand from below’, where Divisional staffs sent requisitions up to Army supply officers to refill to standard levels, which resulted in all divisions being supplied more or less equally, while in the Red Army that only applied to the supply of rations and fodder. All combat supplies used a ‘central dispatch’ model that allowed them to be sent to active Fronts and to starve inactive ones, while within the Front the same process saw active Armies supplied first and within the Army directed to units that were successful in combat. The effect of this policy was to concentrate limited supplies at the point of decision and for the Center to determine where its greatest effort would be made. Much of the seeming Soviet superiority of materiel came from better concentration; while the Germans made efforts from 1943 to direct the flows of supplies through Supply Officers at Heeresgruppe level, they never matched Soviet effectiveness. German planning for the invasion of the Soviet Union in the summer of 1940 had to tackle two major issues — the operation being launched from outside the borders of Germany and that two decisive battles were going to be fought, one of which was beyond the range of motor vehicles to support from mobilization depots. The first issue was dealt with by a huge upgrade of the Polish railway network through the Otto program.53 This would allow a steady buildup of infantry divisions and supply depots on the border and then a last-minute, rapid mobilization of the armored units just before the launch of the invasion. The second issue was dealt with by mobilizing heavy lorry/trailer combinations from the civilian sector, largely the Reichsbahn (and its haulage company Schenker) and the Nationalsozialistisches Kraftfahrkorps (National Socialist Transport Corps, or NSKK) to provide additional columns to the existing three regiments of the Grosstransportraum (GTR). The GTR would support the initial decisive battles fought in the border area, while the Eisenbahnpioniere would re-establish the railways in Soviet-occupied eastern Poland with a double-track line of at least 24 train pairs a day for each Heeresgruppe. A Versorgungsbezirk (Supply District)54 would be established at a depth of 400 km, in the case of Heeresgruppe Mitte at Minsk, which would be built up by moving the depots forward from the Polish border by railway. The GTR would support the armies for the second decisive battle around Smolensk from the Supply District at Minsk over a distance of 400 km. The GTR was raised from 19,000 to 60,000 tonnes capacity for the operation, which represented 9 million tonne-km55 while the demand for 102 infantry and 33 motorized divisions was 32,000 tonnes a day,56 which would indicate that the lorries could support the army up to 300 km from the depots. The 24 trains a day for each Heeresgruppe represented 32,000 tonnes of supplies, which confirms these figures; however, this represented only fuel, ammunition, and limited food/fodder, making no allowance for replacement men, horses, or equipment. Later in the war, a Heeresgruppe would require 75 trains a day simply for ‘normal’ operations, while heavy fighting could raise this to over 100 trains. By the conclusion of the Smolensk battle in early August, it is clear that the supply situation was under strain, and despite over a month’s pause in operations, there were insufficient supplies to carry the units forward to Moscow. The underlying problem was clearly identified by General Halder on 3 August 194157 as being the Eisenbahntruppen conflict of interest, between building low-capacity lines quickly behind the advancing armies or building high-capacity lines capable of supporting Generalquartiermeister Wagner in his objective of building up a Supply District behind each Heerengruppe. The Eisenbahnpioniere had been rapidly changing the gauge and undertaking basic repairs of bridges but were not repairing signaling or telephone communications or restoring the engine depots because they were focused on keeping within seven days58 of the advancing armies. These tasks were being left to the FED and the HBD, who did not possess sufficient equipment to build this infrastructure nor an organizational structure to manage the work.59 In the operational files of Heerengruppe Mitte, there are three maps60 showing the progress of the re-gauging of the main double-track line from Brest: On 3 July 1941, it ran to Baranocwicze with an unloading point there, and it was drivable on Union gauge with a further unloading point at Minsk. By 31 July 1941, unloading was happening at Orscha, with a second Union gauge track from the border through Lida as far as an unloading point at Polozk, while on 28 August a Standard gauge track was unloading at Smolensk with the second Union line from Lida unloading at Vitebsk.61 General des Eisenbahnpioniere Otto Willi reported on 8 August 1941 that 16,148 km of track had its gauge converted, of which 4,414 km was in the Heerengruppe Mitte area.62 With the distance from Terespol on the Polish border to Moscow being 1,070 km, there was sufficient Standard gauge track converted to support the advance using German railway stock. In order to improve traffic flow, the military railway headquarters Etra-Ost was upgraded to Wehrmachttransportleitung Ost and a further headquarters added in September as Betriebsleitung Ost (later GVD Osten) under an experienced railway manager, Ministerialdirigent Dr. Ing. Joseph Muller. However, the lack of experience was showing: It took the Bv.T.O. Heeresgruppe Mitte (Transport Officer) until August to realize that in order to make his daily target of 24 trains a day, they would have to be unloaded at the end of their journey.63 The Ostheer was breaking all of Hermann Haupt’s rules of 75 years earlier and paying the price. The crisis came during the winter: With few covered locomotive depots, the German engines fell out of service and by February 1942, at least 70 percent were inoperative,64 and traffic ground to a standstill. The constant flow of engines eastwards had started to affect the wider German economy, and on 15 January 1942 this prompted Hitler to act.65 The Heer lost control of the railways, and the RVM and Organisation Todt stepped in to rebuild the railways with the Ostbau 42 program. However, friction between the military and railwaymen had been rising all winter, and in April the Gestapo arrested two senior operations managers from the HBD, Oberbahnrat Landenberger and Hahn, who were sent to a concentration camp. In the dark days of 1941, there remains one significant Soviet victory, and it was won by the NKPS over the Ostheer. Due to the size of the country, in Russia mobility at the operational level could only be provided by railways, and by denying it to the Wehrmacht and using it effectively itself, the NKPS ensured that the Soviet Union would survive the onslaught. Once it had recovered from the initial shock of invasion, the railwaymen set about evacuating the motive power before it fell into the hands of the Germans: In total they lost around 2,000 locomotives, many of which were unserviceable, out of a total fleet of 24,20066 (1938). At Odessa, a floating dock was filled with track and locomotives driven into it before the dock was towed out to sea, while few of the German’s encirclements contained much rolling stock. The Soviets would lose around 40 percent of their network while losing 15 percent of the motive power, which meant that for the rest of the war they would have an abundance, especially as the wartime economy required less traffic, due to a switch to freight away from passenger traffic. This allowed the simultaneous evacuation of the great cities by millions of Soviet citizens and the war industries’ move to the Urals. However, the key factor in keeping the Soviet Union fighting was its ability to raise new divisions, and this was only possible if the NKPS could gather up the men from the farthest reaches of the Union, deliver them to the depots and then onto the front; at the same time in late 1941, it was transporting the Far Eastern armies to the west. At a time when the German Ostheer was withering away from a lack of replacements, the NKPS was moving millions of men for the Red Army in the other direction, over a network that the Germans were dismissing as old-fashioned and ramshackled. The German Army may have brought many of its troubles on its own head, by trying to run the railways itself, but the NKPS and Railway Brigades made much of the captured network unusable by its own demolitions. Bridges were a target, and the Soviets had their own track-destroying machines introduced in the Great War, but their principal means were the destruction of equipment at depots and engine sheds. A destroyed depot denied 100 km of track, and the lack of water supplies, engineering equipment, and covered facilities would be largely responsible for the German locomotives put out of action during the coming winter. Further down the line in the area of Heeresgruppe Sud for April 1942, during the buildup for the Stalingrad campaign, the traffic was 3,139 trains (105 daily), including 220 Munition (seven), 123 Fuel (four), 395 Rations (13), 1,050 various Supplies (35), 619 Troop transports (21), 111 Luftwaffe transports (four), and 621 Railway supplies (21). This gave the 189 trains for Heeresgruppe units, 209 for AOK6, 239 for Pz.AOK.1, 187 for AOK.17, 306 for AOK.11, 34 for AOK.2, 473 different receivers, 619 troop transports, and 262 trains for the Luftwaffe.71 While this sounds impressive, the reality was that on a typical day 104 trains were reaching Kasatin, 64 Dnepropetrowsk, and only 34 at Stalino, so sufficient railway capacity was 600 km from the front line, and the armies were receiving a trickle of supplies. When the Soviet Union was attacked, it had major industrial centers in Moscow, Leningrad, the Donetz Basin, and the Urals and lost the use of two of these, the Donetz Basin and Leningrad by the end of 1941, as well as the agricultural surpluses of the Ukraine. This saw gross industrial output fall from 138.5 billion rubles at 1926 prices to 103.0 between 1940 and 1942 or a fall of 33 percent, which was compensated for by the growth of the Eastern output from 22.7 to 52.2 billion rubles in the same period.72 From the point of view of the railways, the shifting of 20 percent of the whole economy 1,000 km eastwards, the loss of another third and around 40 percent of the railway network was a huge change to absorb. The work in 1940 was 415,000 tonne-km and in 1942 it was 228,000 (reduction of 46 percent); the length of haul rose from 700 km to 786 km, and the daily car loadings fell from 97,852 to 42,670 (reduction of 57 percent) matched by an increase in wagon-running time from 7.37 to 16.86 days. However, the shock to the industrial economy was greater than might first appear, as a portion of this freight transport was military, and Hunter estimates the daily car loadings at 2,600 in 1940, rising to 12,100 in 1942, rising again to 13,500 in 1943, and 16,900 in 1944, which represented 28 percent to 30 percent of the overall freight loadings. In broad terms this was equivalent to 223,850 tonnes of military freight or 373 military trains (of 120 axles and 650 tonnes net) and does not account for troop movements, which are not recorded directly but come under the ‘Other freight’ category.73 The economic daily car loadings at 30,570 represent 565,545 tonnes or another 510 freight trains (of 120 axles and 1,100 tonnes net). Even with the incomplete data, it is clear that the NKPS was providing considerably more railway capacity than the Germans overall and several multiples more in military traffic. But while the Soviets had the larger railway capacity, this was not sufficient for every need, and they limited the demand in a number of ways. There are few instances of major Soviet units of size being moved across the front; perhaps the largest was the concentration for Operation Bagration with 2nd Guards and 51st Armies coming from the Crimea and 5th Guards Tank Army (only two Tank Corps) from the Ukraine. The typical Red Army movement was to send entire units from the Center to a Front and then to leave the thinned-out units there at the end of the operation. When reactivating a Front for operations, replacements and new equipment would be dispatched to fill out existing units, and this was a more efficient way of using the available railway space than moving entire combat-effective units across the front, which was standard German practice, most notably the move of 11. Armee from the Crimea to Leningrad in late 1942 or the constant movements of elite units such as Grossdeutchland and Panzer Divisions. When the Ostheer launched its summer campaign in the last days of June, Oberquartiermeister Wagner had already stated that only one Heeresgruppe could be supported for the forthcoming operation by the existing railway network.74 The root of the problem lay in the low-capacity rail network across the Polish Gap, the poor quality of re-gauged lines by the Eisenbahnpioniere, and the small size of the HBD and FED. Only three months was allowed between the end of the Winter Crisis 1941/1942 and the start of the campaign for the efforts of the RVM to repair the railways; the main bridge over the Dneipr at Kiev was re-opened in March, but most lines were only running at 24 train pairs a day, whereas Soviet lines through occupied Poland had been running at 30 train pairs a day. The Ostbau programs aimed to repair the engine depots and raise the track capacity of main lines from 24 to 36 train pairs daily.75 Nor did the planning of the operation set capture of railways as an objective, as the main railway route ran from Kiev to Rostow through the high-capacity lines of the Donetz Basin with only a secondary route running from Kiev to Lgow to Charkow, across the Donetz river to Lichaja, crossing the Donetz for a second time before heading to Stalingrad. The initial advance followed the secondary route in an effort to encircle the Red Army at Rostov, leaving the Railway Brigades plenty of time to completely destroy the railway facilities in the Donetz Basin and to blow up the railway bridge over the Don, which was not re-opened until October, with a 1200 m long ‘Kohn St 52’ bridge. Three Eisenbahnpioniere Regiments and a host of independent companies plus the Organisation Todt and Reichsbahn engineering trains were deployed to repair the railways, and they planned 2,000 km of track to be operated by the FED. The advance was 600 km long and beyond the capability of the Grosstransportraum(lorries of 20,000-tonne capacity) to support from the original start line; this was followed by another advance to the Caucasus, another 400 km from Rostov to Maikop and beyond. This created a transport situation in August where the railways at Charkow were isolated from the main advance by seven destroyed bridges over the Donets river and the entire advance of both 6. Armee at Stalingrad and the Heeresgruppe in the Caucasus were supported by a single repaired track running from Stalino to Rostow, crossing the Don on a makeshift bridge and the main line running onto the Caucasus while the branch line via Salsk supported Stalingrad. In addition a considerable backlog built up at the border of the Government General caused by heavy military traffic and delays in customs clearance for economic traffic going toward Germany. Around 40–50 trains76 a day were traveling beyond Kiev, but only 24 trains77 a day were able to cross the Don to support the operational armies, which caused delays from fuel shortages. The situation eased a little on 20 September 1942 when a branch line opened from Stalino to Lichaja, crossing the Donets at Belaya Kalitwa on a 270 m ‘double-tracked RW bridge’ as far as Chir carrying around nine–12 trains a day; however, destroyed bridges still required goods to be trans-shipped onto lorries and then onto Union rolling stock for the passage into Stalingrad. For instance, on the 20 October the number of trains arriving was AOK.6 – 12, Hungarian AOK.2 – seven, Italian AOK.8 – four, and AOK.2 – eight.78 With only 12 trains arriving daily (5,400 tonnes), the supply situation grew so tight in the city that 6. Armee sent its horses to the rear at Rostov to reduce demand, but this act effectively immobilized the army for the winter. If the German situation was tight, then for the defenders of the city, it was disastrous. Three railway lines ran into Stalingrad; from the northwest a single-track line to Povorino–Moscow was cut by the German advance and not usable beyond Ilowlja, and the lines to the west and south were both German controlled. On the east bank of the Volga, the Saratov–Urbach–Astrakhan line carried 19 train pairs a day with a Front Regulating Station at Baskunchak, but this was 140 km from the city with a branch line to the Volga Ferry port, which was completed in September 1942 but only carried eight trains when the demand was for 10. The city and the South Eastern Front both had military roads linking them to Baskunchak, but motor transport was in short supply, and Stalingrad Front only had 2,500 lorries, while Don Front had 3,600 and South-West Front had 3,197 lorries in total.79 The Don and South-West Fronts could draw supplies down three railway lines running through Saratov, Balatov (10 trains), and Povorino (36 trains), and had Military Roads to connect these to the frontline. A trickle of this traffic could find its way into the city by going to Kamyshin and transferring to Volga shipping; however; these routes from the north were under artillery fire and air attack. The effort to improve the railways and repair the damage from bombing involved no less than six железнодорожной бригады (Railway Brigades) plus an NKPS управление военно-восстановительных и заградительных работ (Directorate of Military Recovery and Obstruction Works or UVVR) with 46th and 15th Railway Brigades working on the east bank extending the railway toward the city. While the Germans were dealing with a damaged railway, the Soviets had been forced out of the main network area and were having to use secondary lines, so their efforts were directed toward upgrading them to meet the extra demand. Some work had already been completed earlier in the year as part of a new route to supply oil, including a new line up the western shore of the Caspian Sea. The key Soviet advantage lay in their superior operating skills, which allowed them to deliver 63,251 operational and 13,749 supply wagons to the Stalingrad Front between 23 July and 18 November, which is approximately 15 trains a day (9,750 tonnes). The engines moved at slow speeds, which allowed them to be driven with basic signaling (in some cases using soldiers with flags) with small intervals between trains and a high density of trains on the line. Tracks could be used in a circular manner, with loaded trains coming down on good track and lighter, unloaded trains returning on poor track. The surfeit of rolling stock allowed them to deliver loads and not return the wagons, pushing them off the track or onto branch lines or the street of Astrakhan, which were lined with wagons that had been pushed onto the tramlines. Portable unloading ramps were used to lengthen station platforms, and trains would often unload troops and lighter equipment up to 20 km away from the station so that there was no delay in unloading heavy equipment when the train arrived in the station. Similarly, the large number of workers allowed maintenance teams to camp out along the line to immediately repair air raid damage or damaged trains using piles of materials dumped beside the tracks. These measures were supported by Locomotive Columns of up to 500–600 engines, which the NKPS could deploy to boost the motive power of a region; the key advantage of these was that they were self-contained units that carried their own engineering support, portable water pumps, and other equipment to increase the capacity of local locomotive depots. Given that FED 3 and 5 had 440 and 314 locomotives respectively,80 the Soviet increase in motive power was considerable. Where the NKPS was failing was in the speed of reconstruction of destroyed railway lines and particularly in bridge re-building, a factor that delayed further exploitation of the initial counter offensive. The truck fleet was at a low level (195,618 trucks, 21,107 tractors, and 781,759 horses with the field armies), and supplies of foreign-built trucks had yet to arrive at the front. As Alexander Werth drove through the rear of the offensive, he described it as ‘Horses, horses and still more horses … pulling guns and gun carriages and large covered wagons; and hundreds of lorries with their headlights full on’.81 However, when the South-West Front launched its counter-offensive Little Saturn, its jumping-off point was 140 km beyond the railhead, and the lorries had been unable to fully equip the units to their full supply allocation. Despite this, the offensive covered 200 km in six days and ended up 340 km beyond the railhead. The NKPS would instigate further militarization of the railways during 1943, particularly to improve its rate of reconstruction so that it was able to keep pace with the rate of advance of Combined Arms Armies. It is axiomatic that extreme examples of logistics provide the greatest insight to its inner workings, and the Vistula-Oder Strategic Offensive is a classic example. Originally based on the same parameters as the Belorussian Strategic Offensive, with an offensive advancing 350 km at a rate of 15 km a day for Combined Arms Armies, 35 km a day for a Tank Army, supported by a supply fleet of 5,500 lorries for the 1st Belorussian Front and a rapidly repaired railway network,82 the initial objective was to capture Lodz, with a distant objective of Posen 350 km away. However, the actual offensive saw a much longer advance of 550 km at double the rate at 25 km a day for Combined Arms Armies, 80 km a day for Tank Armies, through bad weather that limited daily lorry journeys to little more than 100 km. The 1st Belorussian Front had a slightly larger supply fleet at 7,000 lorries,83 but the offensive was launched out of two narrow bridgeheads across the major obstacle of the Vistula river, which separated the Soviet armies from the repaired railway network behind them. The more rapid advance was limited by fuel, as little ammunition was expended in the breakthrough and ample food supplies were captured in the rear of the German armies. The 2nd Guards Tank Army started the operation with 2.3 zapravka(refills) diesel, 3.3 gasoline, 3.2 KB-70, and had a consumption of 4.8 diesel, 6.6 gasoline, and 7.4 KB-70. (At 353 tonnes for 1.0 zapravka of diesel, 511 tons gasoline, and 48 tons KB-70, one refill weighed 983 tons, allowing for lubricants.) This indicates that the Tank Army carried 2,850 tons of fuel on its vehicles and had delivered a further 2,770 tons during the operation.84 Normal consumption was 0.2–0.34 zapravka a day but reached 0.4–0.5 with the higher rates of advance so the Tank Army could advance for between seven and 14 days and might cover 400 km. The 76th Separate Motor Transport Regiment was attached to the Army with 600 lorries (1,450 tons) and tankers (366 tons) (77 percent of establishment) and was too small to support the Tank Army when it reached the Oder, so additional lorries were used from unit transport — but more importantly, a railway service using captured enemy equipment delivered 300 tons daily (at least 85 percent of daily usage) by shuttling between the Vistula and Poznan before the bridge was re-opened. The key to the campaign was the limited number of bridges over the Vistula: In the 1st Belorussian Front’s area, the two bridges at Warsaw serviced the route Brest Litovsk–Siedlce–Warsaw–Poznan, which had a capacity of 72 train pairs daily85 when operated by the Germans, or the one at Deblin served the Brest Litovsk–Deblin–Prague route (72 train pairs) with a single-track branch line to Lodz–Poznan (36 train pairs). With two of the five arches in the river, it was decided to build a replacement a 510 m bridge, which should have taken 20 days but in fact opened on Day 9 (22 January) of the operation when the advance had covered 260 km and delivered 8–10 trains with 30–40 wagons each (4,500 tons). The work was carried out by the 5th Railway Brigade of UVVR-2 while the 1st Guards Railway Brigade repaired the Warsaw bridge, which re-opened on the Day 16 (29 January).86 These impressive results were due to the increasing mechanization of the Railway Brigades with extra cranes, diesel pile drivers, and power tools. Even with the railways open, there was a crisis in supply once fighting began on the Oder with the increased demand for ammunition — for example, the 2nd Guards Tank Army carried 3.2 Боекомплект (unit of fire), and just one weighed 2,370 tons.87 It is hard to see that the offensive could have been sustained past Posen without the railways, as they were providing the bulk of the daily fuel supplies to that point, and the trucks were barely able to supply the frontline units between Posen and the Oder. Railways were the heart of the Russo-German War because they provided the vital link between the economic and manpower capacity of the home country and the forces in the field, and in a country as large as the Soviet Union, they provided the operational level movement needed by the military forces. Geography and terrain defined the layout of the railway network, and the size of forces and the large distances involved meant that railways were the only practical option to support military operations. So inevitably offensive directions followed the railway tracks as much as the terrain. The STAVKA and GKO realized this, militarized the railways, and put them at the heart of their operations, matching their operations to the available railway capacity. Credit must also be given to the NKPS, who in the period 1930–1938 created a world-class railway by re-writing the rule book and utilizing a low-capital approach to deliver high-traffic capacity. When combined with the organizational ability of the Rear to channel combat materiel directly to the point of decision, this produced a powerful weapon for STAVKA. The increasing range and tempo of Soviet offensives as the war progressed from the second to the third period of war was driven by the increased ability of the UVVR to restore railways, particularly bridges, after the initial breakthrough, and a virtuous circle was created whereby more rapid offensives led to reduced German railway destruction, quicker resumption of Soviet railway supply, and hence deeper penetrations. By contrast, the German approach was fractured into a number of competing authorities, dominated by the Wehrmacht, who had no previous experience of long-range operations using railways and refused to seek the professional help of the Reichsbahn. Their ad hoc arrangements for running the railways behind the front were insufficient, and the Eisenbahnpioniere failed to build capacity in the crucial connection between the border and the Supply Districts. Nor did the situation improve after February 1942 when the Reichsverkehrsministerium took over control, as their efforts to bridge the Polish Gap were too limited, and the railway capacity was restricted by rigid operational practices. Attempts to upgrade the Russian railways to a modern standard with sufficient capacity took too long, and Ostheersuffered a perennial shortage of transport capability. As late as June 1944 Heeresgruppe Mitte would have to choose between transporting munitions or reinforcements, as there was insufficient railway capacity to carry both simultaneously. The German military’s lack of appreciation of the issues surrounding power projection cost it dearly in Russia, both in 1941 and again in 1942, while the GKO used the power of the NKPS to move its offensives further and faster westwards than could have been accomplished by motor vehicles alone. 1 M. Bork, T-7 Comments on Russian Railroads and Highways, Foreign Military Studies Branch, T-7, Department of the Army, Office of Military History, Germany, 1953. 2 A. Toppe, T-8 Problems of Supply in Far Reaching Operations, Foreign Military Studies Branch, T-8, US Army War College, Carlisle, PA, 1951. 3 E. Kreidler, Die Eisenbahnen im Machtbereich der Achsenmächte Während des Zweiten Weltkrieges. Einsatz und Leistung für die Wehrmacht und Kriegswirtschaft [The Railways in the Area of the Axis Powers During the Second World War. Use and Performance for the Wehrmacht and the War Economy], Musterschmidt, Göttingen, 1974. 4 H. Pottgiesser, Die Reichsbahn im Ostfeldzug 1939–1944. Die Wehrmacht im Kampf Band 26 [The Imperial Railway in the Eastern Campaign 1939–1944], Vowinckel Verlag, 1961. 5 K. E. Hahn, Eisenbahner in Krieg und Frieden: ein Lebensschicksal [Railwaymen in War and Peace: A Life of Destiny], Lanzenreiter, 1954. 6 A. B. Gottwaldt, Deutsche Eisenbahnen im Zweiten Weltkrieg [The German Railway in the Second World War], Franckh’sche Verlagshandlung, Stuttgart, 1983. 7 A. C. Mierzejewski, The Most Valuable Asset of the Reich: A History of the German National Railway Volume 1: 1920–1932, University of North Carolina Press, Chapel Hill, NC, 1999; A. C. Mierzejewski, The Most Valuable Asset of the Reich: A History of the German National Railway Volume 2: 1933–1945, University of North Carolina Press, Chapel Hill, NC, 2003. 8 M. van Creveld, Supplying War: Logistics from Wallenstein to Patton, 2nd ed., Cambridge University Press, Cambridge/New York, 2004. 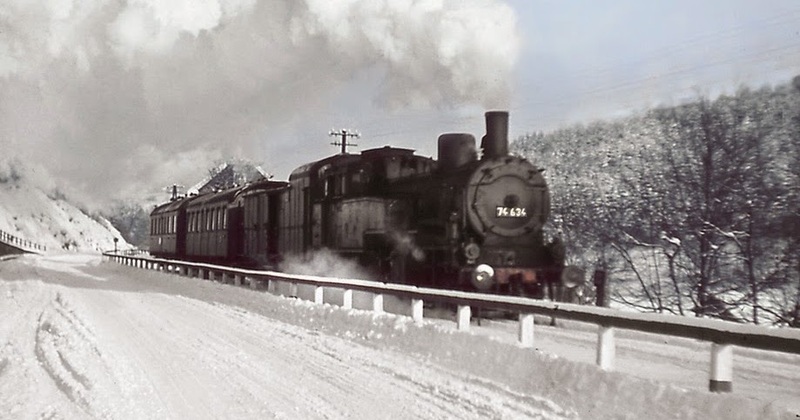 9 K. A. F. Schüler, Logistik im Russlandfeldzug: die Rolle der Eisenbahn bei Planung, Vorbereitung und Durchführung des deutschen Angriffs auf die Sowjetunion bis zur Krise vor Moskau im Winter 1941/42 [Logistics in the Russian Campaign: The Role of the Railway in Planning, Preparation and Execution of the Attack on the Soviet Union and the Crisis in Front of Moscow in the Winter of 1941/2], P. Lang, Frankfurt am Main/New York, 1987. 10 L. H. Addington, The Blitzkrieg Era and the German General Staff, 1865–1941, Rutgers University Press, New Brunswick, NJ, 1971. 11 H. Boog et al., Germany and the Second World War: Volume 4: The Attack on the Soviet Union, in Ewald Osers (ed. ), Dean S. McMurry and Louise Wilmott (Trans. ), Har/Map edition, Clarendon Press, Oxford/New York, 1998. 12 G. A. Kumanev, Sovetskie zheleznodorozhniki v gody Velikoĭ Otechestvennoĭ voĭny, 1941–1945, Izd-vo Akademii nauk SSSR, Moscow,1963. 13 I. V. Kovalev, Транспорт в Великой Отечественной войне, 1941–1945 rr [Transport in the Great Patriotic War 1941–1945], Nauka, Moscow, 1981. 14 N. A Antipenko, На главном направлении. [In the Main Direction], Nauka, Moscow, 1967. 15 H. Hunter, Soviet Transport Policy, Harvard University Press, 1957, p. 282. 16 M. Harrison, Accounting for War: Soviet Production, Employment, and the Defence Burden, 1940–1945, Cambridge University Press, Cambridge, 2002. 17 J. N. Westwood, A History of Russian Railways, G. Allen and Unwin, 1964. 18 P. E. Garbutt, The Russian Railways, S. Low, Marston, London, 1949. 19 J. A. Huston, The Sinews of War: Army Logistics, 1775–1953, University Press of the Pacific, Honolulu, 2004. 20 I. M. Brown, British Logistics on the Western Front: 1914–1919, Greenwood Publishing Group, Westport, CT, 1998. 21 K. E. Hahn, 1954, op. cit. 22 E. A. Rees, Stalinism and Soviet Rail Transport, Palgrave MacMillan, Houndmills/New York, 1994, p. 13. 23 H. Hunter, 1957, op. cit., Table 46. 24 E. A. Rees, The Purge on the Soviet Railways, 1937, Centre for Russian and East European Studies, University of Birmingham, 1992. 25 E. A. Rees, 1994, op. cit. 26 G. A. Kumanev and Yu. A. Polyakov, Война и железнодорожный транспорт СССР, 1941–1945 [War and Railway Transport of the USSR 1941–1945], Nauka, Moscow, 1988. H. Hunter, 1957, op. cit. 28 J. N. Westwood, Soviet Locomotive Technology During Industrialization, 1928–1952, Macmillan, in association with the Centre for Russian and East European Studies, University of Birmingham, 1982. 30 K. N Tverskoi, The Unified Transport System of the USSR, V. Gollancz, London, 1935. 31 O. Wehde-Textor, ‘Zur Lage des sowjetischen Eisenbahnwesens in den Jahr 1937 und 1938 [The Situation of Soviet Railways in 1937 and 1938], Archiv für Eisenbahnwesen 62 (1939), pp. 224–227. 32 O. Wehde-Textor, ‘Die Eisenbahn des westlichen Ukraine und Weißruslands [Railway of the Western Ukraine and White Russia]’, Archiv für Eisenbahnwesen 63 (1940), pp. 484–487. 33 O. von Niedermayer, Wehrgeographische Betrachtung der Sowjetunion … K. Vowinckel Verlag GmbH, Berlin, 1933. 34 O. von Niedermayer and I︠U︡. N. Semenov, Sowjet-Russland, eine Geopolitische Problemstellung, K. Vowinckel Verlag, Berlin,1934. 35 P. Wohl, ‘Transport in Development of Soviet Policy’, Foreign Affairs, April (1946). 36 H. Hunter,1954, op. cit., p. 90. 37 K. E. Hahn, 1954, op. cit. 38 M. Bork and T. Koehner, P-048 Transportation Network — Poland’s Rail and Road Network, Foreign Military Studies Branch, Historical Division, European Command, 1947. 39 A. C. Mierzejewski, The Most Valuable Asset of the Reich, vol. 1. 40 M. Bork and T. Koehner, 1947, op. cit. 41 A. C. Mierzejewski, The Most Valuable Asset of the Reich, vol. 1. 42 I. V. Kovalev, 1981, op. cit. 43 A. C. Mierzejewski, The Most Valuable Asset of the Reich, vol. 1, p. 89. 44 Lt.-Gen. Trubetskoi, ‘Справка Начальника Военных Сообщений Красной Армии o Необходимой Пропускной Способности Железных Дорог По Воинскому Графику 1941 Года [Chief of VOSO on the Required Railway Capacity for the Military Schedule 1941], Archive of Alexander N. Yakovlev, http://www.alexanderyakovlev.org, TsА МО РФ. Ф. 16. Оп. 2951. Д. 242. Лл. 164–167. 45 ‘14.02.1941 Выписка Из Постановления № 309-146сс ЦК ВКП(б) И СНК СССР «О Плане Железнодорожного Строительства На Дорогах Юго-Запада, Запада И Северо-Запада СССР И Обеспечении Его Выполнения» [14 Feb 1941 Plan of Railway Construction in the South-West, West and North-West Tracks of USSR and Ensuring It Is Carried Out], http://liewar.ru/dokumenty/219-nakanune-sbornik-dokumentov-zapovo-39-41. 46 I. V. Kovalev, 1981, op. cit. 47 H. M. Hozier, The Seven Weeks’ War: Its Antecedents and Its Incidents : (Based Upon Letters Reprinted by the Permisssion from The Times) in Two Volumes, Macmillan, 1867; Colonel Von Wright and M. H. Hozier, Campaign of 1866 in Germany — The Prussian Official History, Andrews UK Limited, 2012; H. M. Hozier and W. H. Davenport Adams, The Franco-Prussian War: Its Causes, Incidents, and Consequences, W. Mackenzie, London, 1872. 48 A. Ott, Das Kriegs-Etappenwesen des deutschen Reichs nebst den Nebenfaktoren: militärisches Eisenbahnwesen, Feldtelegraphie, Feldpost und der Organisation der freiwilligen Krankenpflege im Kriege: Nebst zwei Anhängen über das Kriegs-Etappenwesen in Österreich-Ungarn, Italien, Frankreich, Rußland und der Schweiz, sowie über Völkerrecht, Kriegsrecht und die Genfer Konvention, C.H. Beck, Munich, 1896. 49 M. van Creveld, 2004, op. cit. 50 N. V. Starostenkov, N. L. Volkonskyy, A. G. Diachkov, N. A. Zenzynov, E. B. Sizov, A. F. Stolyarov, and V. V. Yarobkov, Железнодорожные войска России [Russia’s Railway Troops], Evroservis-SV, Moscow 2001–2002. 51 C. Wolmar, Engines of War: How Wars Were Won and Lost on the Railways, Atlantic Books, London, 2012. 52 Col. C. Skryabin, ‘Из истории создания органов управления тылом Советской Армии’ [From the History of the Headquarters of the Rear of the Soviet Army], Voenno-istoricheskii Zhurnal (VIZh) 7 (1979). 53 H. Pottgiesser, 1961, op. cit. 54 NARA, ‘Versorgungbezirk Sud [Supply District South] Table of Organisation. NARA T311 Roll 264 Frame 529, 514, 503, 413, n.d.
55 Das Deutsche Historische Institut in Moskau, ‘OKH Akte 329. H.Dv.g 90 Versorgung des Feldheeres Geheime’ [Captured copy of H.Dv.g 90 Supply of the Field Army translated into Russian], Russisch-deutsches Projekt zur Digitalisierung deutscher Dokumente in den Archiven der Russischen Föderation H.Dv.g. 90 Versorgung des Feldheeres — provides a formula to calculate carrying capacity of motor columns. 56 A. Toppe, 1951, op. cit. 57 F. Halder, The Halder Diaries: The Private War Journals of Colonel General Franz Halder, Vol. VII, Westview Press, Boulder, CO, 1976. 58 M. Bork, 1953, op. cit. 59 Russisch-deutsches Projekt zur Digitalisierung deutscher Dokumente in den Archiven der Russischen Föderation, ‘OKW Akte 105. Eisenbahntransportfragen bei der Wehrmacht im Osten Anläßlich des Krieges Gegen die UdSSR (März 1941–Januar 1942) [Railway Transport Issues With the Armed Forces in the East During the War Against the Soviet Union (March 1941–January 1942)]. 60 Das Deutsche Historische Institut in Moskau, HG MItte/B Akte 138. Anlagen Zum KTB Der Heeresgruppe B — Führungsabteilung — Akte XIX: Allgemein, Heft 1. [War Diary of Army Group B]. Eisenbahnlage Stand 3.07.1941. 61 Ibid., Eisenbahnlage Stand 28.8.1941. 62 Bundesarchiv, ‘Umgespurte Strecken Eisebahnlage Stand am 10.8.1941 RH66 — 713 General des Eisenbahntruppen. 63 L. H. Addington, 1971, op. cit. 64 H. Pottgiesser, 1961, op. cit. 65 E. Kreidler, 1974, op. cit. 66 P. E. Garbutt, 1949, op. cit. 67 H. Pottgiesser, 1961, op. cit. 68 E. Kreidler, 1974, op. cit. 69 J. D. Mark, Into Oblivion: Kharkov to Stalingrad : The Story of Pionier-Bataillon 305, 2013. 70 E. Kreidler and Bundesarchiv, ‘Eisenbahnverkehr Im Osten Im Zweiten Weltkrieg’ [Railway Traffic in the East in the Second World War], Bundesarchiv R5 Anh II. Nr.50, n.d.
71 NARA, ‘HG Sud Rail Situation April 42 — Traffic Summary Table — T311 Roll 296 Frame 0428’, n.d.
72 H. Hunter, 1954, op. cit. 73 Ibid. See chapter 10, note 6 for Hunter’s reasoning. 74 E. Wagner and E. Wagner, Der Generalquartiermeister. Briefe und Tagebuchaufzeichnungen des Generalquartiermeisters des Heeres General der Artillerie Eduard Wagner [The Quartermaster General], Melk, Munich/Vienna, 1963. 75 A. C. Mierzejewski, The Most Valuable Asset of the Reich, vol. 1. 76 H. Pottgiesser, 1961, op. cit. 77 V. von Rieben, D-139 Transportation System in Southern Russia, Romania and Hungary November 1942 to March 1945, Foreign Military Studies Branch, D-139, Historical Division, European Command, US Army, Garmisch, Germany, 1948. 78 NARA, ‘HG Sud Rail Situation Sept to Dec 42 — T78 Roll 264. 79 A. I. Mirenkov, ‘Военно-экономический фактор в Сталинградском сражении’ [Military and Economic Factors in the Battle of Stalingrad], Культурный Центр Вооруженных сил Российской Федерации им. М.В.Фрунзе [Cultural Center of the Russian Federation Armed Forces named after M.V. Frunze], Военно-экономический вестник [Military-Economic Bulletin] 2003. 80 H. Pottgiesser, 1961, op. cit. 81 A. Werth, Russia at War,1941–1945, Pan, 1965. 82 N. A. Antipenko, 1967, op. cit. 83 C. Duffy, Red Storm on the Reich: The Soviet March on Germany, 1945, Routledge, London, 2000. 84 Col. N. F. Polukhin and Lt. Col. Yu. D. Paytchenko, ‘Logistic Support for Mobile Groups of Fronts in the Vistula-Oder Operation’, VIZh, JPRS — Foreign Broadcast Information Service, no. 1, 1987. 85 M. Bork and T. Koehner, 1947, op. cit. 86 I. V. Kovalev, 1981, op. cit. 87 ‘Тезисы доклада о работы тыла 2 гв [Report on the Rear of the 2nd Guards Tank Army], TsAMO Fond.307 Op.4148 d.410, March 1946, https://pamyat-naroda.ru/dou/?docID=136489812.